While he regularly appears on This Morning and Celebrity Juice, Gino D’Acampo never fails to have co-hosts and viewers in stitches with his Gino-isms and cheeky charm. The 41-year-old Italian chef recently caused a stir when talking about his new beard live on This Morning. He said his wife Jessica told him ; ‘if you don’t shave up there, I’m never going down…’ before being promptly cut off by Holly Willoughby and Phillip Schofield! After 22 years together, Jessica – with whom he has three children, Luciano, 15, Rocco, 12 and Mia, five – must be used to it by now! It was great. The first month and a half I was filming the new series of Gino’s Italian Escape, then two months with my family and then one month by myself. Every year I spend a month by myself. It’s great to spend time with the family but it’s nice to be by myself. I think everyone who tells you different is lying. It gives me the chance to think and to write, and a chance to plan my year ahead without getting distracted. What’s your favourite thing about going back to Italy? Keith Lemon says you’re from Sheffield – do you get a lot of people asking that? Oh God, that’s constant. Every time people see me, the first thing they say is; ‘How is Sheffield?’ At the beginning it used to annoy me. Now it has become part of my life. So much so that I’m opening a restaurant there. I think I’m being put forward as the mayor of Sheffield. They greet me like their long lost son when I go there. Do you often cook for your wife? Yes – whenever I’m not milling around filming I tend to cook at home. When she cooks I always give her little tips. She gets really annoyed by that. She says; ‘You criticise,‘ and I say; ‘No darling, I don’t criticise, it’s just a little tip.’ She does whatever she wants anyway. My kids prefer my cooking. What’s the most romantic meal you’ve had? I don’t know! I believe romance is something that comes from the heart. I charge her electric toothbrush every night. I was her car once a week. I kiss her goodnight every time I go to sleep. To me, that is being romantic. Does live TV scare you? No, because it’s like I’m cooking at home, which sometimes isn’t a good thing. I forget it’s on television and I just say s**t! I say things and I think oh my God, did I just say that, and they say ‘yes, the camera was on!’ Holly and Phil will just say ‘GINO!’ We’ve known each other for years so they’re used to it now, big time! Is the beard here to stay? I don’t really think about my beard when I get up in the morning. I’m largely growing the beard because I can’t be bothered to shave. 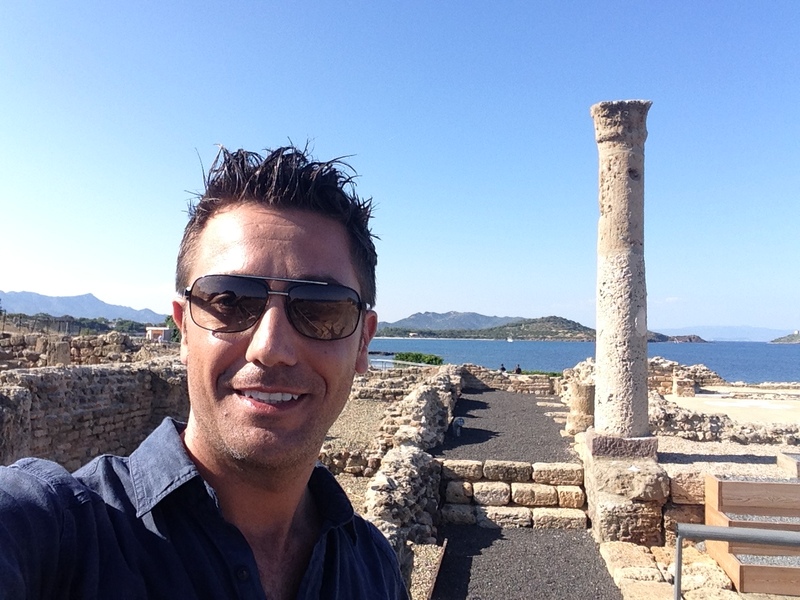 What can we expect from your new show Gino’s Italian Escape? I’m filming on the Mediterranean coast of Italy. It’s the best coast in Italy. The food is great, the cities and the little towns that I went to are the most stunning places in the world. I suggest people making sure they’ve got a tissue with them because they’re going to dribble with all the great food they’ll see. Also, make sure they’ve got a phone with internet because I guarantee every place you will want to go there on holiday.